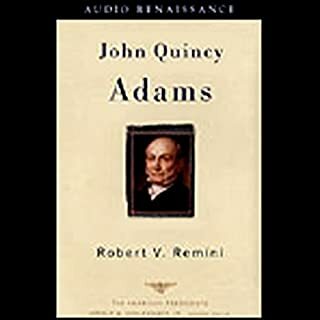 While John Quincy Adams' natural tendencies were toward a contemplative life filled with art and literature, his path was predestined - the law and then public service. It is no wonder that later, as a grown man, accomplished and admired, he was spoken of as cold and austere, even misanthropic. Too short. No emotion in reader. I’ve listened to a few presidential biographies, in order. This one hinted at more interesting stories but failed to tell them, except in a sentence or two. Very little description of what happened during Adams presidency or afterwards. And not enough description of his relationship with his wife and children. The reader’s voice was flat. Disappointed. Should have been better book.